In a soft shade of mint, this mandarin collar shirt by Verpass is an elegant choice. We love the sequinned trim and elbow length sleeves. 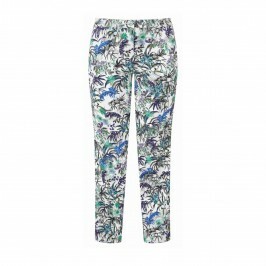 Team with print trousers and heeled sandals for a polished weekend look. Mint green shirt. 100% Viscose. Delicate Machine Wash.